Help speed up your paving production and lay a smoother surface while reducing material costs with a Trimble® Paving Control System. With a 2D reference and 3D design model to choose from, a Trimble Paving Control system can help you lay the finished surface within an accuracy of 0.01 feet. 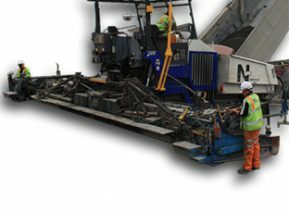 A Trimble Paving Control system can also help you pave within a tighter tolerance, getting you closer to the minimal asphalt thickness specification while reducing labor costs with the ability for one operator to control the screed. You can also eliminate operator mistakes thanks to the easy-to-use display interface. Complex designs including transitions, super-elevation curves and frequently changing cross slopes are possible with a Trimble Paving control system. 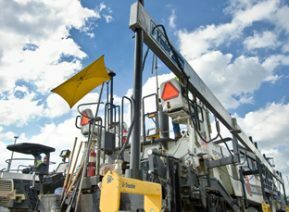 Overall, a Trimble Paving Control System for asphalt pavers can help you achieve accuracy and smoothness specifications.